A short biography of British anarchist and journalist, who was one of the Spies for Peace, Nicolas Walter. Nicolas Walter was born in South London, England. One of his grandfathers was SK Radcliffe, a radical atheist who wrote a history of the South Place Ethical Society, London, (Walter was the society's chairman during its bicentenary celebration in 1993). His other grandfather was Karl Walter, an anarchist who reported the international anarchist conference of 1897 for the Times. His father was W. Grey Walter, the neurophysiologist famous for the robot “tortoises" at the Festival of Britain exhibition in 1951. Walter studied at Rendcomb College, Cirencester & was an active member of the Labour Party. After a stint of National Service in the RAF, he began reading history at Exeter College, Oxford. By 1959, he had broken all ties with party politics & had become an anarchist. In 1961, Walter helped found The National Committee of 100 after a call by Earl Bertrand Russell and Michael Scott for a movement of non-violent resistance to nuclear war and to the manufacture and use of all weapons of mass extermination. He was also a founding member of the direct action group called The Spies for Peace, a subcommittee, which investigated military plans and installations and tried to infiltrate in military bases. The Spies for Peace first exposed the fact that the Government had made detailed plans for governing the country in the event of nuclear war. They felt that all of the marches and sit-downs were not having a sufficient effect in challenging the militarism of the Government and they were determined to do more. In March 1963 they broke into a secret government headquarters, called RSG-6, or the Regional Seat of Government Number 6. They photographed and copied as many documents as they could, and then secretly typed and duplicated 3,000 leaflets explaining what they had found. Within days protesters were demonstrating at the site of RSG-6. The Spies for Peace were front-page news. In 1966 Walter drew a lot of attention from his staged protest against the Vietnam War, in a Methodist church in Brighton, while Prime Minister Wilson was reading his lecture.Walter served two months imprisonment for this action. Throughout his life he compiled and edited texts on atheism and anarchism by such noteable figures as Mikhail Bakunin, Edward Carpenter, Denis Diderot, EM Forster, Peter Kropotkin, George Bernard Shaw, Percy Bysshe Shelley and Oscar Wilde. Professionally, Walter was a journalist. 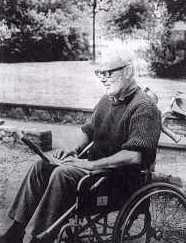 Walter's writings appeared in a range of publications, such as The Guardian, the London Review of Books and the New Statesman, as well as anarchist and free-thought publications such as Freedom and Solidarity. He was deputy editor of Which? (1963-65), press officer for the British Standards Institution (1965-67), chief sub-editor of the Times Literary Supplement (1968-74), and editor of New Humanist. This was followed by various posts for the Rationalist Press Association (1975-99). Among his own books, his most successful, About Anarchism (1969) is known worldwide and has been translated into many languages - including Chinese, Japanese, Russian, Greek and Serbo-Croat. In fact, this work has been so influential in people's discovering anarchism, it's prompted anarchists in France and the United States to name their offspring Nicolas in tribute to Nicolas Walter. Other books include: Nonviolent Resistance: Men Against War (1963); Blasphemy Ancient and Modern (1990) and Humanism: What's in the Word (1997). In 1973 he developed testicular cancer, and the high doses of radiotherapy that he was given led to increasingly severe side-effects of pain and physical disability, eventually confining him to a wheelchair. Yet he never seemed bitter, but always said he was glad to have survived as long as he did. When asked why he didn't sue the NHS, and he replied: "Why should I? If I sued the NHS for negligence and won, it would mean there was less money for other people." He broadcast on radio and wrote a great deal on humanist issues. In 1976, during the prosecution of Gay News for blasphemy, Walter republished James Kirkup's offending poem, "The Love that Dares to Speak Its Name", in defiance of the authorities and sent it out to all who requested it. His last arrest came in 1983 when he lay down in the street during a peace protest at the Cenotaph on Remembrance Sunday. "Raging against the dying of the light may be good art, but it is bad advice ... 'Why me?' may be a natural question, but it prompts a natural answer, 'Why not?' ... Religion may promise life everlasting, but we should grow up, and accept that life has an end as well as a beginning ... Mortality is inevitable, but morbidity is not."